You’ll want your smile to leave a lasting impression, but certainly not for the wrong reasons. 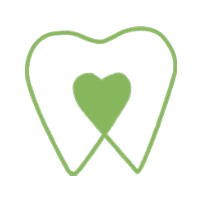 At Greenwood Smile Dental in Seattle, Hailun Wu, DMD, is an experienced dentist who offers dental crowns to patients who wish to improve their smiles and make a great first impression for all the right reasons. Learn how crowns and bridges can correct a variety of common dental problems. Call to schedule an appointment or book online so Dr. Wu can answer all your questions. Crowns can be made of porcelain, resin, or ceramic to match the color of your natural teeth, so they provide support and structure, while still appearing attractive and natural alongside your other teeth. If you need a crown, it usually takes a couple of visits to Greenwood Smile Dental. During the first visit, Dr. Wu prepares your tooth for the new crown by taking X-rays and examining the health of your tooth. In some cases, a root canal is necessary to get rid of decay or reduce the risk of infection. Dr. Wu also files down your natural tooth so the artificial crown can perfectly fit over it. Conversely, if you’re missing most of your natural tooth, Dr. Wu might recommend pulling it and installing a surgical implant as the base of your new tooth, or she can add material to the existing tooth to build it up so the crown can fit properly. Once your tooth is prepared for the new crown, Dr. Wu takes an impression of it so the dental lab can create a custom-fitted crown that closely resembles your surrounding, natural teeth. Once the new crown is ready, you return to the office so she can install the permanent crown using dental cement. You might wear a temporary crown while your new one is being made since it sometimes takes a couple of weeks. Typically, your new dental crown will last up to 15 years, depending on how much wear and tear you put your teeth through. Having good oral hygiene habits, such as regular brushing and flossing and dental checkups, can help your crown last a long time. Take the first step at improving your smile and keeping all your teeth healthy. 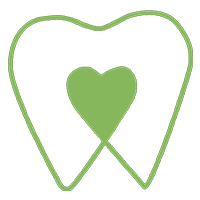 Call Greenwood Smile Dental to schedule a consultation or book your crown appointment online today.